Arizona Ranger Sam Burrack has something of a reputation for finishing what he sets out to do-usually with a shot from his Winchester. He'd been on the trail of five gunmen for days. Then there was four. And he doesn't plan on stopping until every member of the notorious Golden Riders is behind bars or underground. 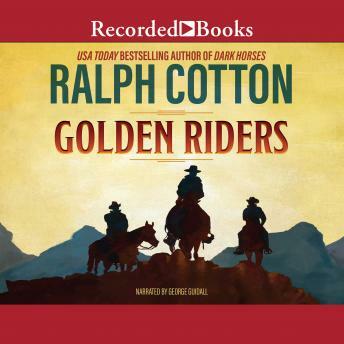 But when a few of the riders escape in a jailbreak, word gets back to gang leader Braxton Kane that his brother fell under the gun of a lawman. Now Burrack is both hunter and hunted, and if he doesn't live up to his reputation, he won't live very long..